Victoria Day SpeedFest 2017 finished with Sunday's slate of seven races including the NASCAR Pinty's Series Can-AM 200 Season Opener. 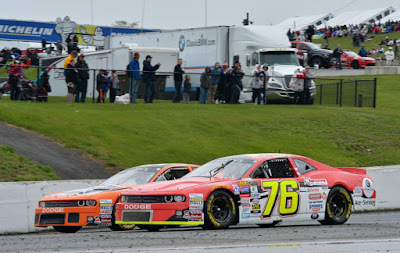 Canada's premier national (Alberta to Nova Scotia) stockcar race series started in the afternoon of May 21 under light precipitation and ended with a a rainy victory by the day's fastest qualifier Kevin Lacroix in the #74 Bumper to Bumper, Total, Gates Dodge car. 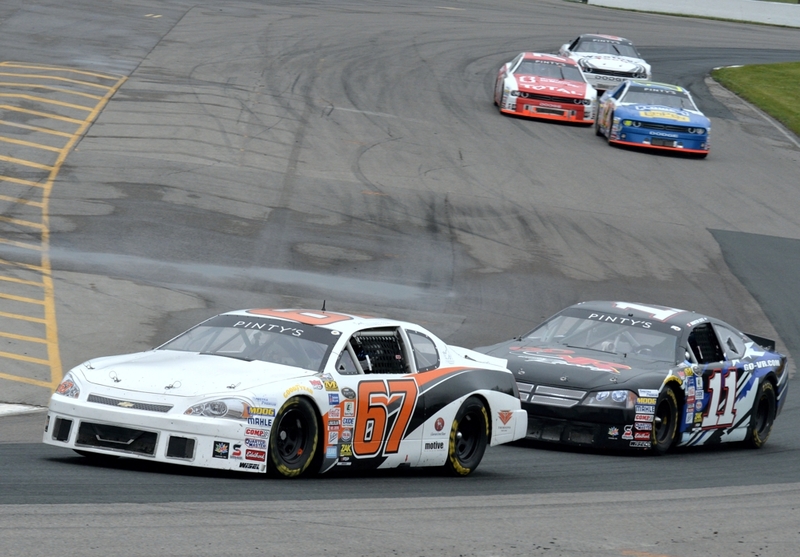 Coming in second was Andrew Ranger of the #27 car and Gary Klutt of the #59 car rounding out the top 3. You can see photos from Friday's testing and qualification laps on my post here. 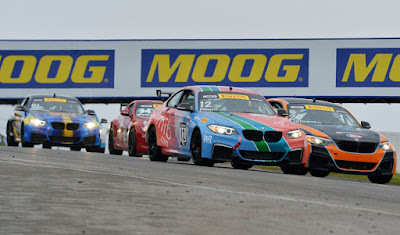 The Pirelli World Challenge had a number of classes competing over the weekend (TC, TCA, TCB, GTS, Sprint X GT and GTS Cup) and included the world's best sports cars and some fine cars from Cadillac, Porsche, Audi, Bentley, Aston Martin, BMW, Mini Cooper and many more. 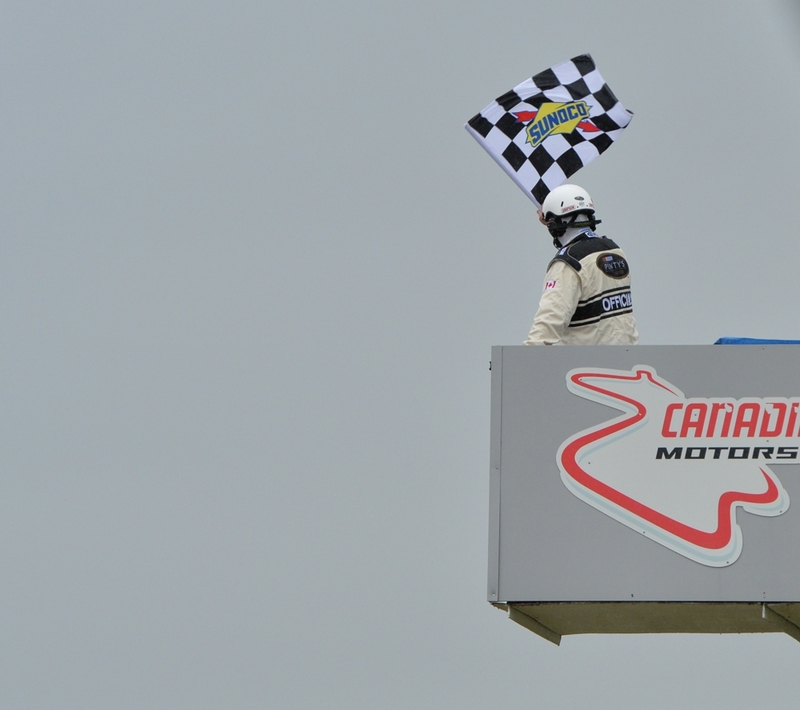 Built in 1961, Canadian Tire Motorsport Park was named in 2012 when Mosport International Raceway entered a long-term partnership with Canadian Tire. 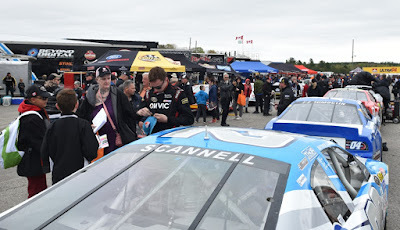 The large park brings out courtesy golf carts during this major weekend event, sponsored by Jumpstart, which shuttle people between the action centre in the infield to the farthest end of the track in turn five and also into the family camping area. 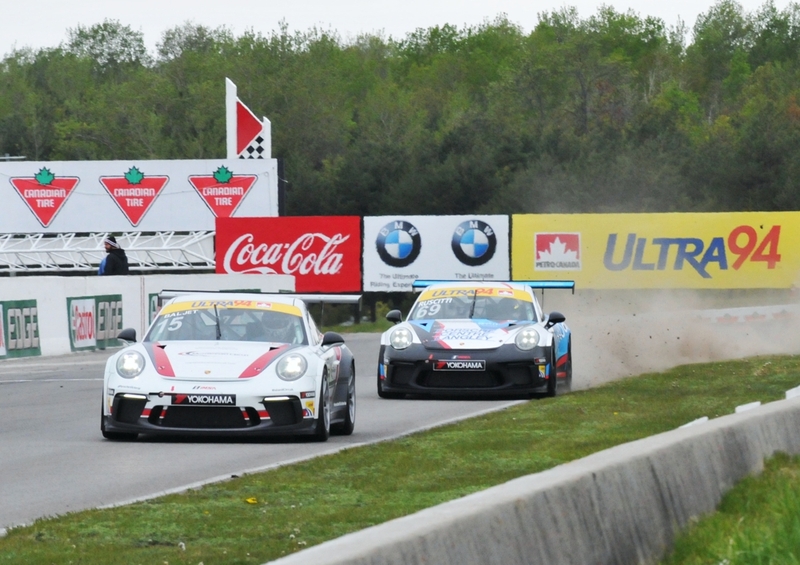 There are ten turns and four pedestrian bridges over the main road course and in the infield are the paddocks, the CTMP Marketplace and the Canadian Tire Action Centre. 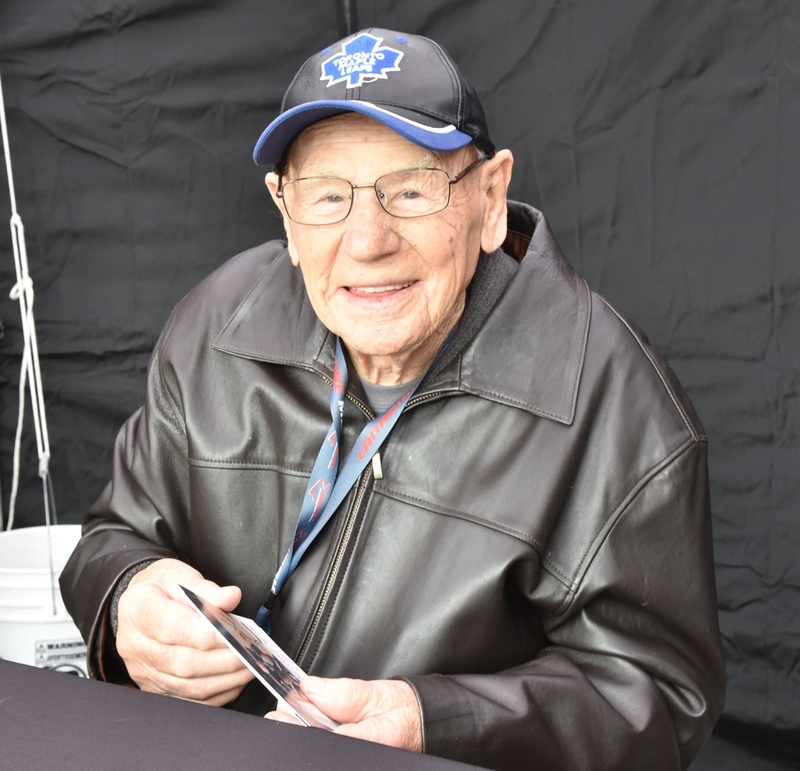 In addition to Saturday's fireworks there was also live music on the Marketplace Stage on Saturday and Sunday. 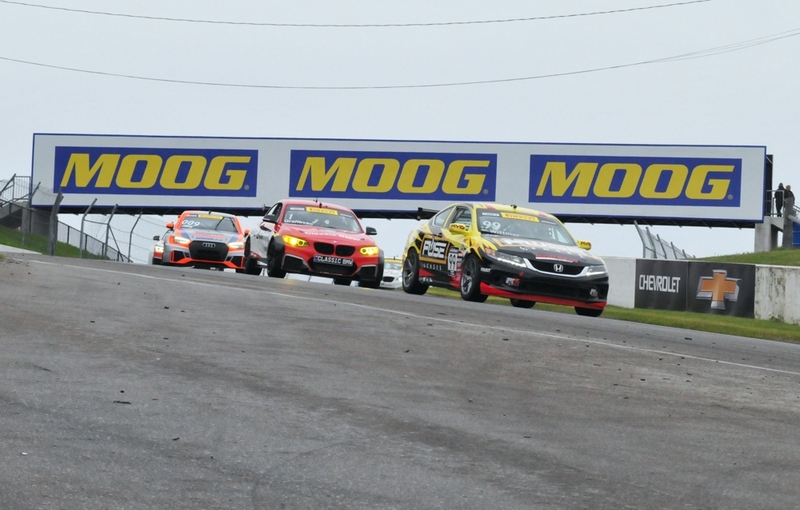 You can also catch the action by tuning into FM 90.7 for live broadcasts of the races. overall included 17 of the total 55 laps run. 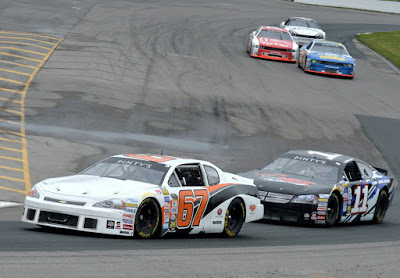 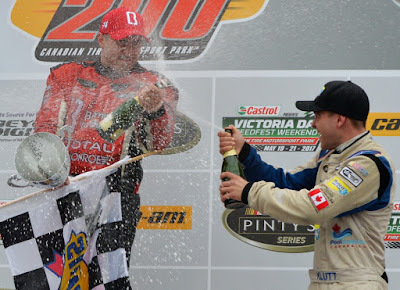 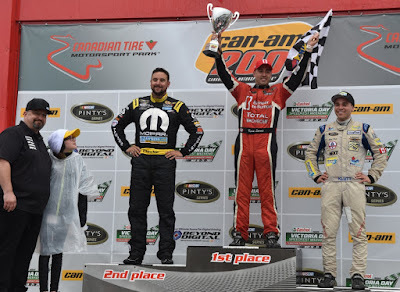 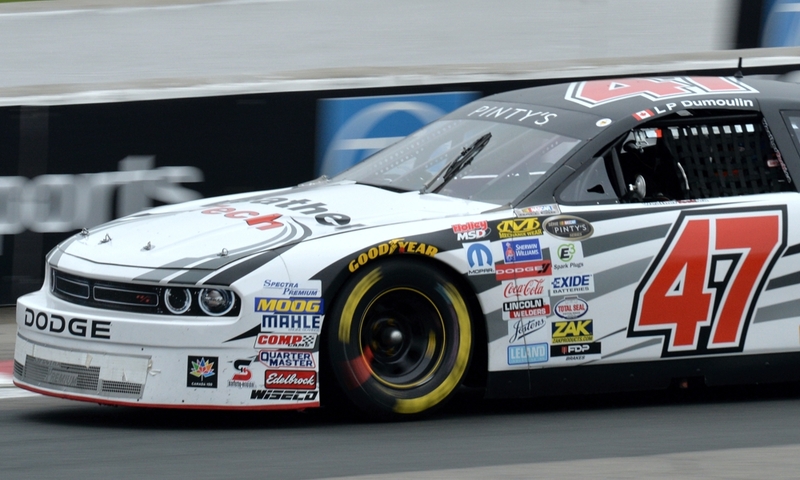 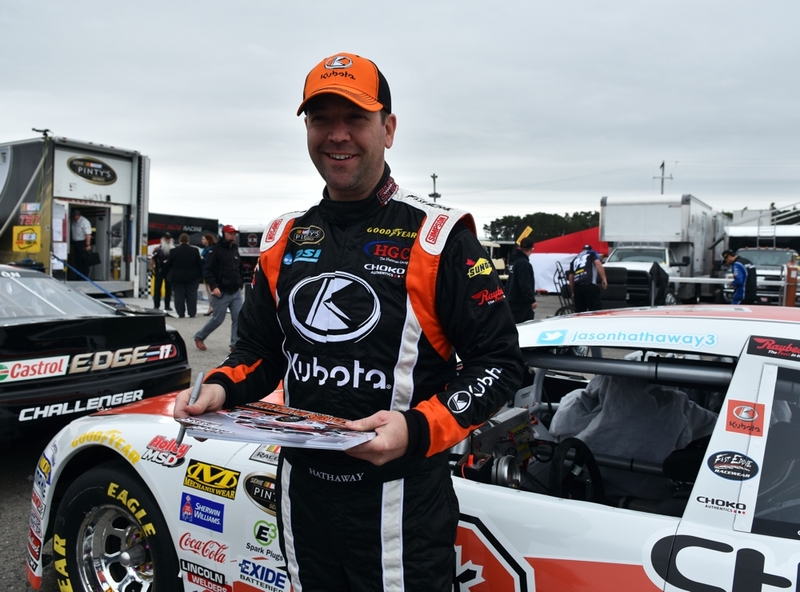 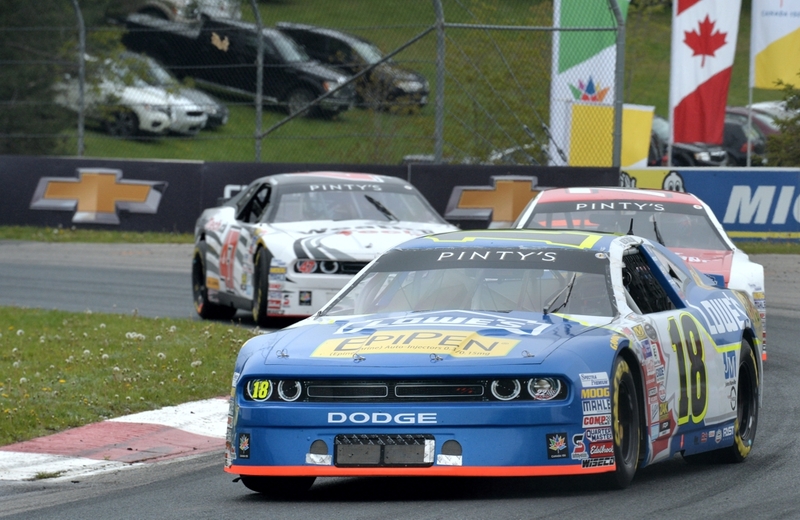 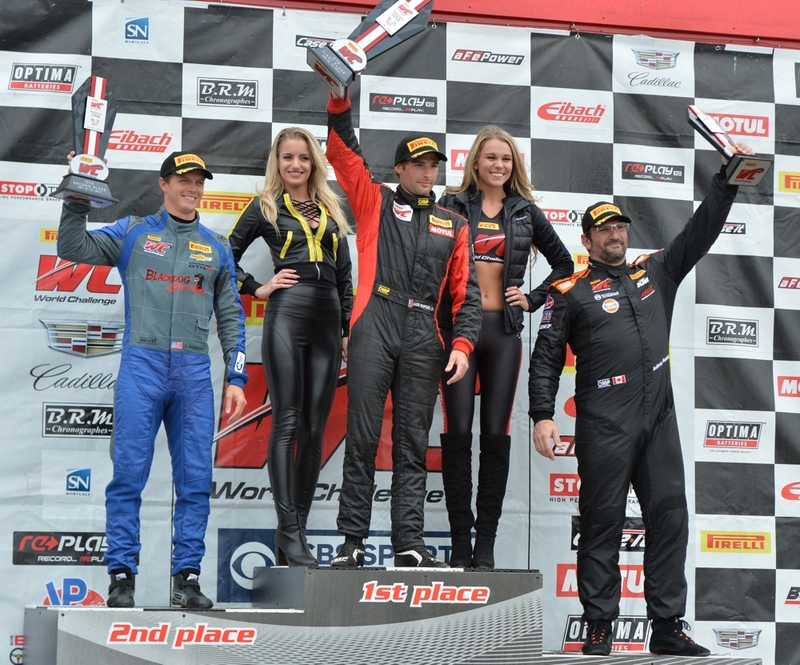 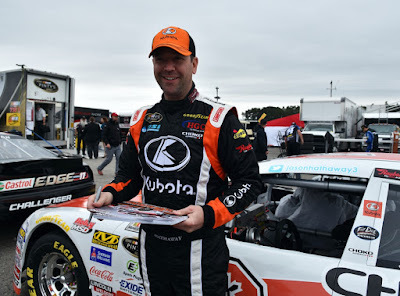 NASCAR hometrack race recap noted that "Kevin Lacroix finally figured out Canadian Tire Motorsport Park last fall, and the off-season did nothing to slow him down. 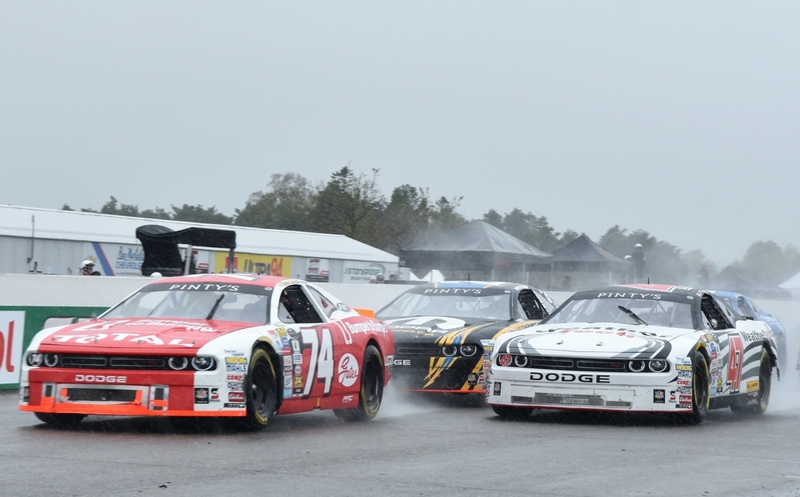 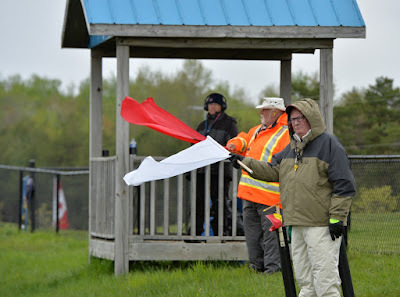 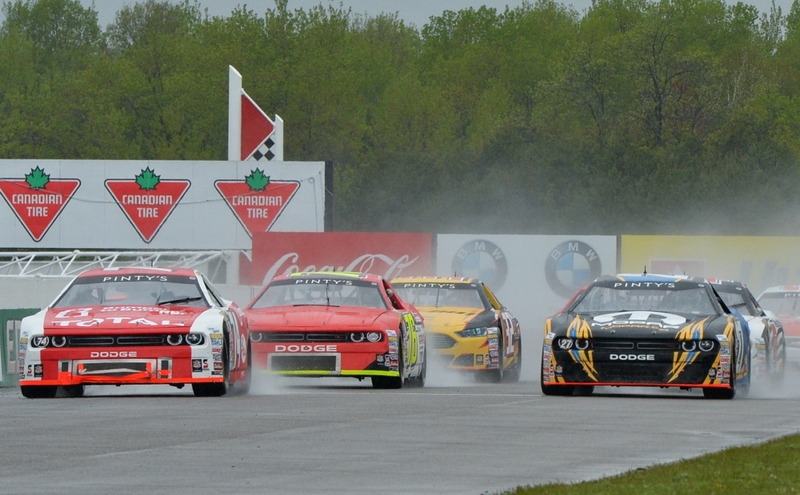 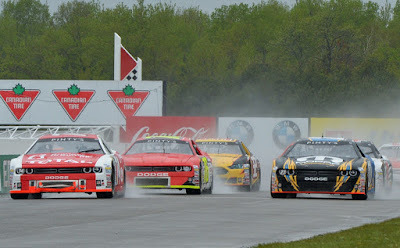 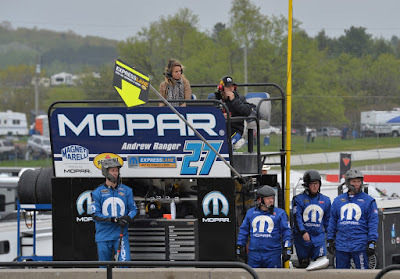 Nor did the rain that arrived in force in the final laps of Sunday's Can-Am 200. 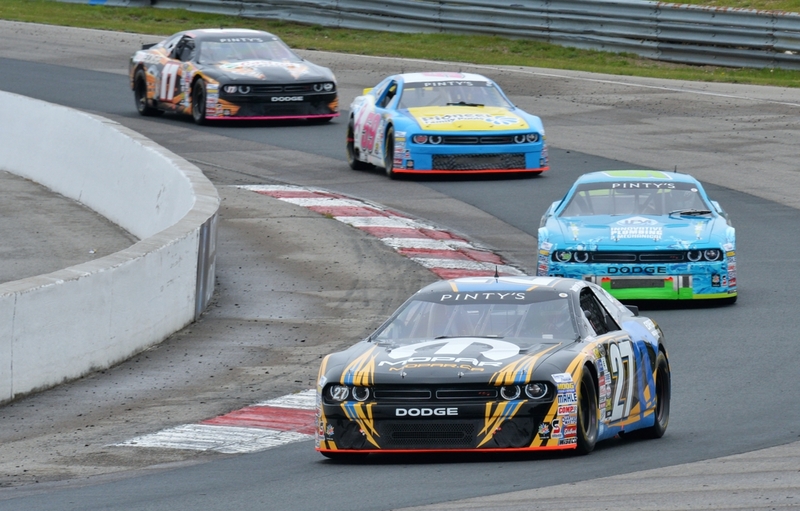 The Saint-Eustache, Quebec, driver scored his second win in a row at the fame 2.459-mile road course. 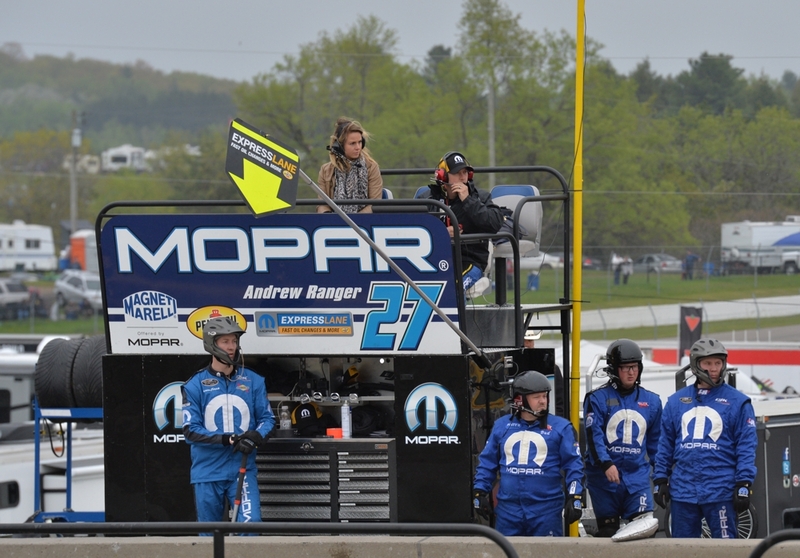 He won the E3 Spark Plug Pole Award Saturday, and then drove by Andrew Ranger on the final lap of Sunday's race for his fifth career win. 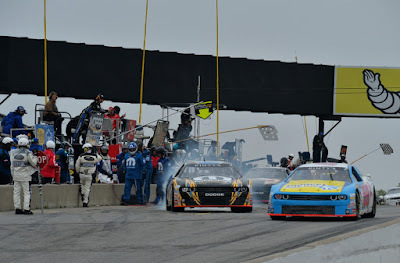 A Lap 49 caution forced the race into overtime, with Lacroix and Ranger swapping the lead multiple times over the final turns before Lacroix pulled away for the win by 1.916 seconds." 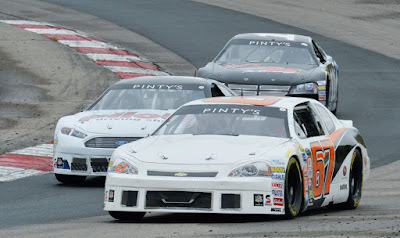 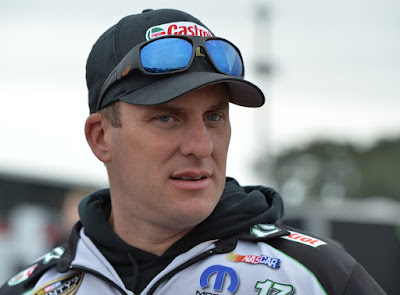 Driver DJ Kennington who competed in the famous 2017 Daytona 500 as the first Canadian in 29 years, took part in a 19 car pileup in Daytona and now returns to the Canadian Pinty's Series and finished in 17th place on Sunday's race. 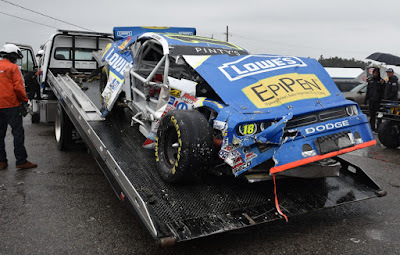 Alex Tagliani's #18 car ended up on a flatbed trailer, slightly worse for wear and placed 18th. 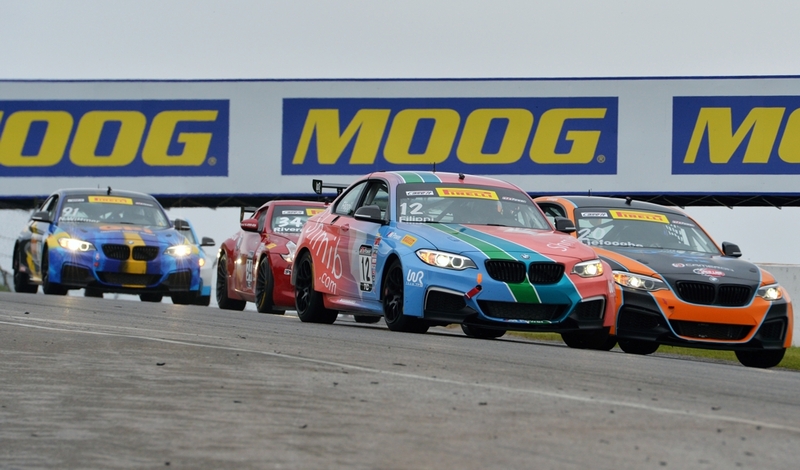 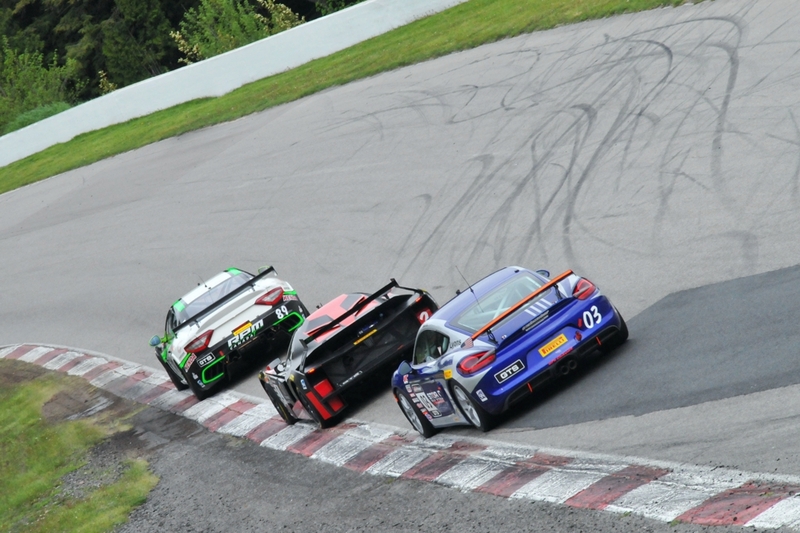 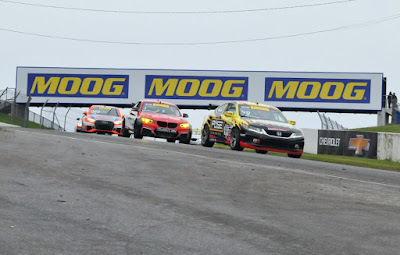 Rounding out the race card was three Canadian Series; the Canadian Touring Car Championship (CTCC), the Ultra 94 Porsche GT3 Cup Challenge by Yokahama and the Nissan Micra Cup Series along with all classes of the Pirelli World Challenge Series. Autograph sessions were held both Saturday and Sunday with the Porsche GT3 Cup Challenge, Canadian Touring Car Championship, Pirelli World Challenge taking place Saturday and the NASCAR Pinty's Series and the Nissan Micra Cup held on Sunday. 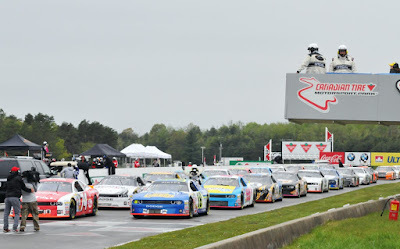 Castrol Presents the Victoria Day SpeedFest took place May 19-21 at the Bowmanville track, formerly known as Mosport and located approximately an hour east of Toronto. Practice and qualifications covered most of the schedule on Thursday and Friday until the first races began on Saturday. 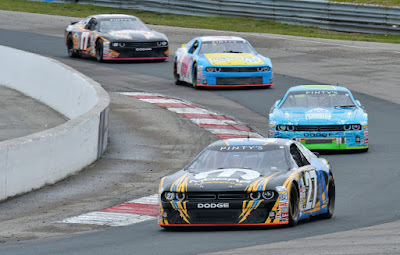 Upcoming major events at the track are the July 6-9 Mobil 1 Sportscar Grand Prix, the August 18-20 Superbike Double Header and the September 1-3 Chevrolet Silverado 250. 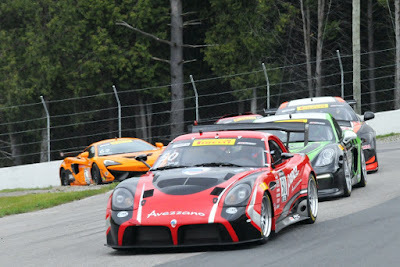 Written and photographed by Ann and James Hamilton. 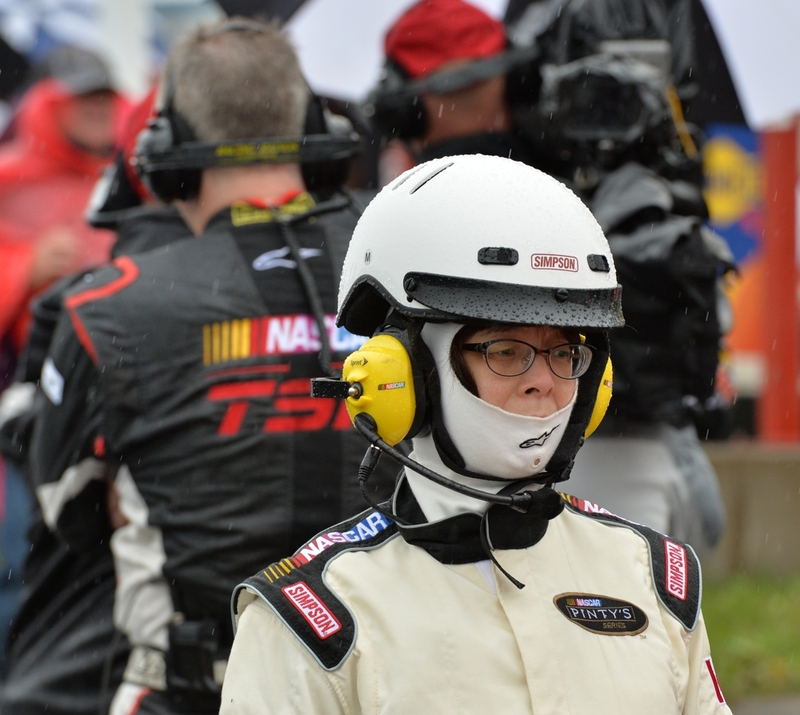 Come back as I add more photos from the races. See more photos after the jump. 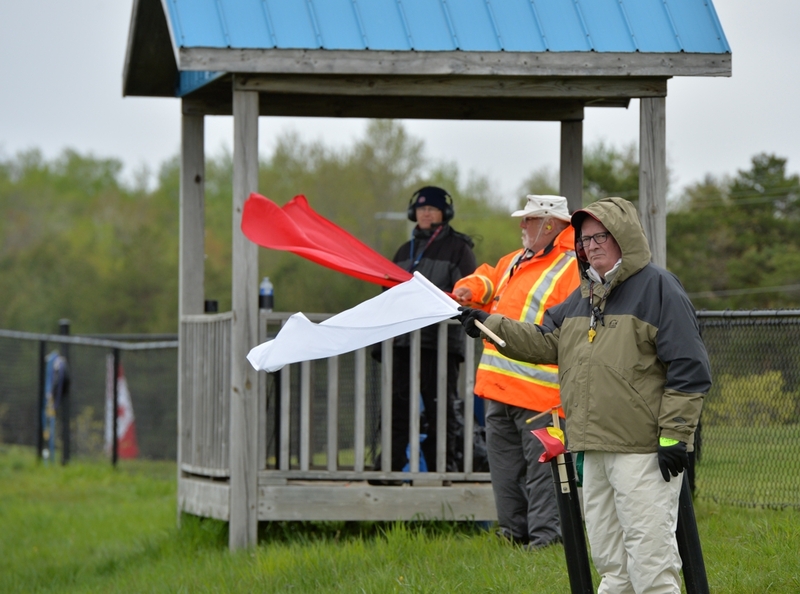 Corner Marshalls keep the drivers appraised of the track status with a number of flags; Green is the start or restart of a race, yellow is for unsafe conditions where the driver has to slow down, red is complete stop, white is the last lap of the race and the checkered flag means the race has been completed.